Glide through creases effortlessly with this superb Prolectrix 3000 W Max Steam Pro Iron. 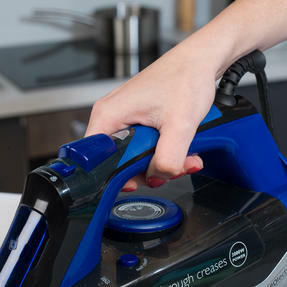 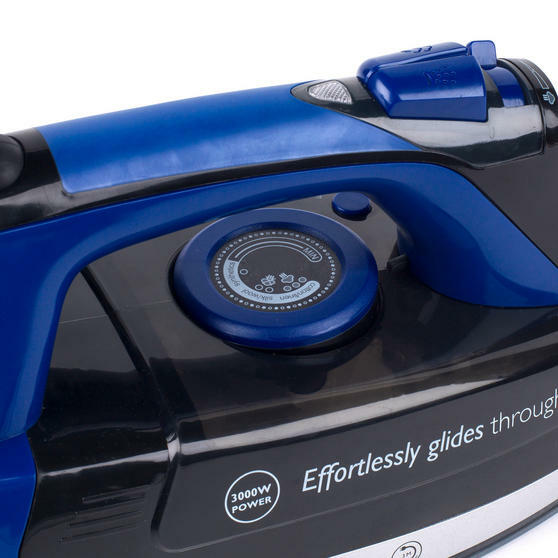 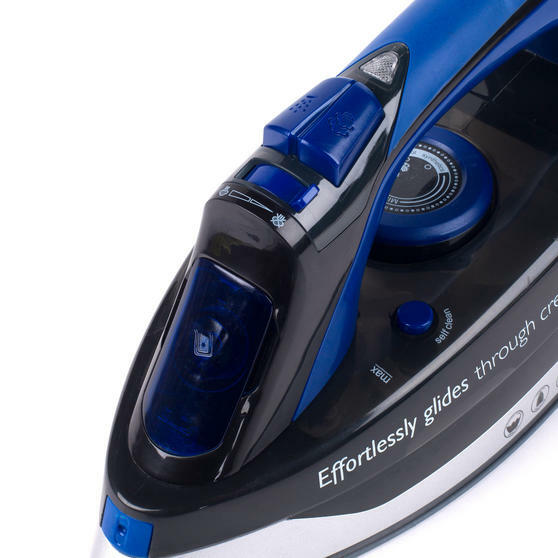 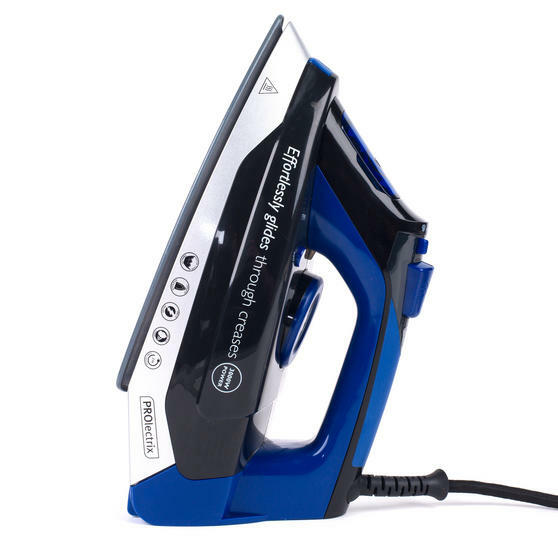 The perfect combination between practicality and power, this iron features a ceramic soleplate, steam burst, a self-clean function and a 380 ml easy fill water tank. 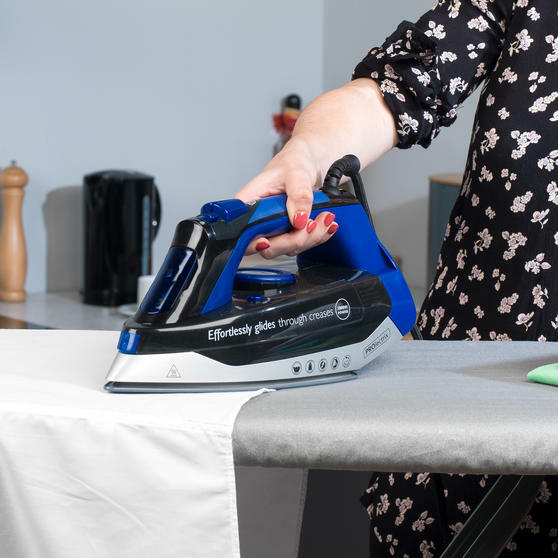 The iron is incredibly easy to manoeuvre and comfortable to hold with a soft grip handle which makes long stints of ironing easy. 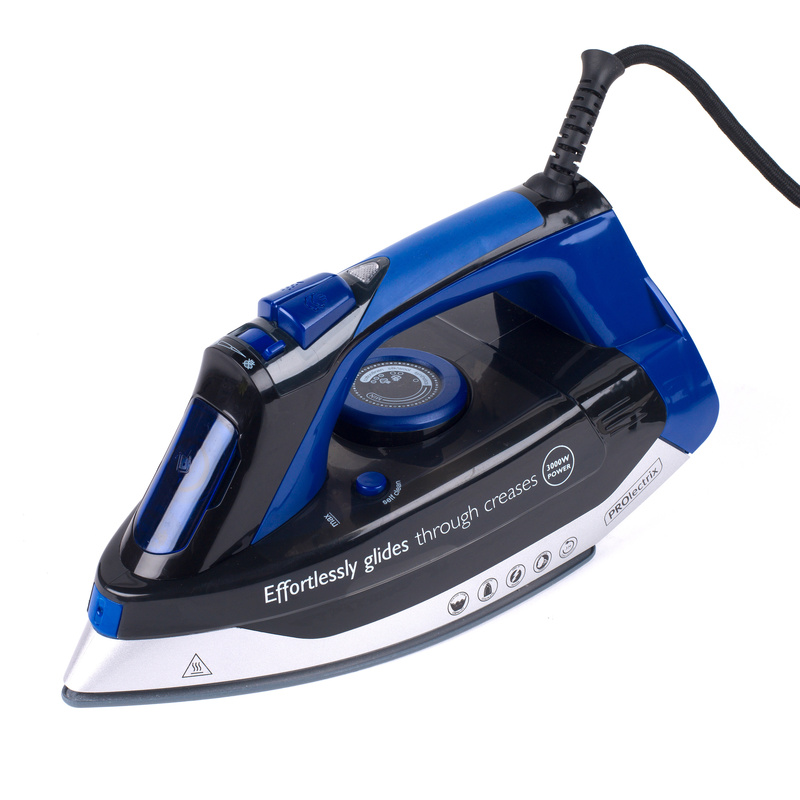 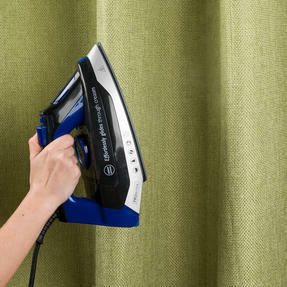 With simplistic variable temperature controls and a 3 metre long cord this iron is a great addition to any home. 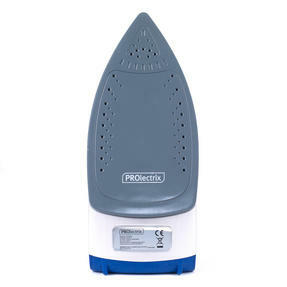 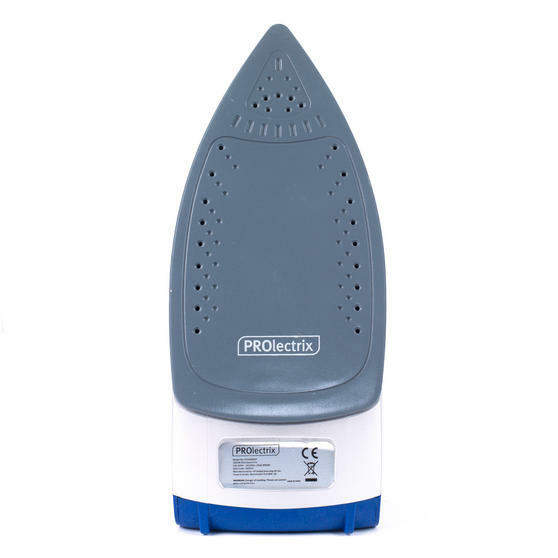 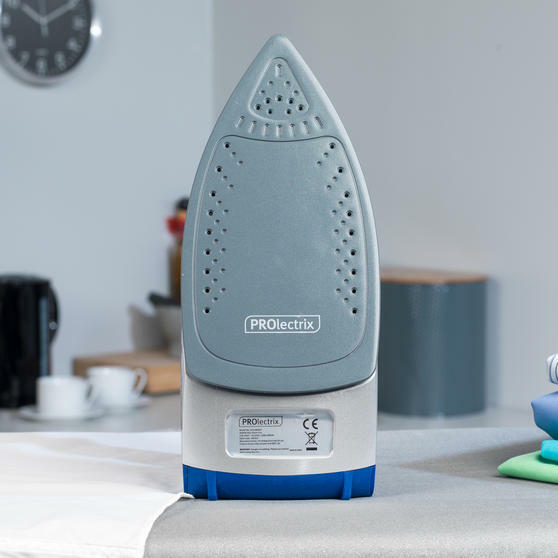 Make your ironing easier with this superb Prolectrix Max Steam Pro featuring a ceramic soleplate for effortless crease removal. 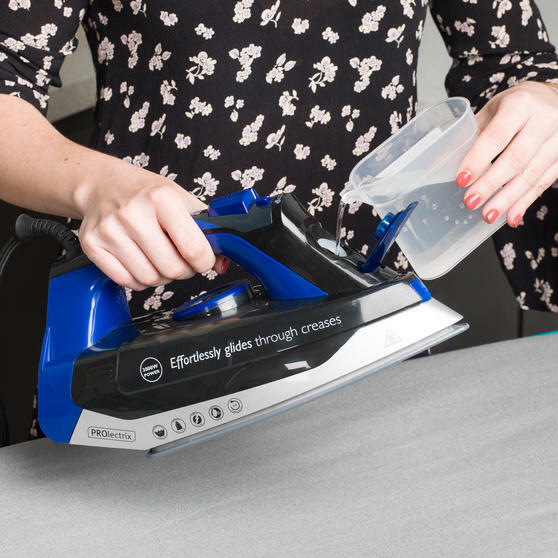 Large but also lightweight, the iron has a good sized 380 ml easy-to-fill tank to save you time with less frequent refilling. With a convenient vertical steam function you can take on creases on hanging items - ideal for jackets, suits and delicate clothing. 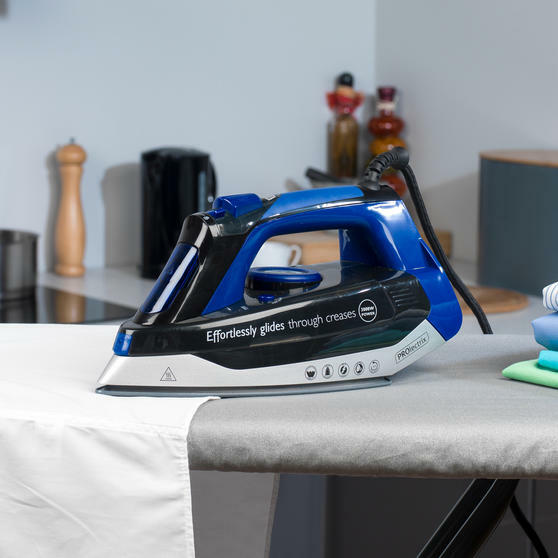 The powerful and practical iron is cleverly designed with an anti-drip and self-cleaning function so maintenance is kept to a minimum. 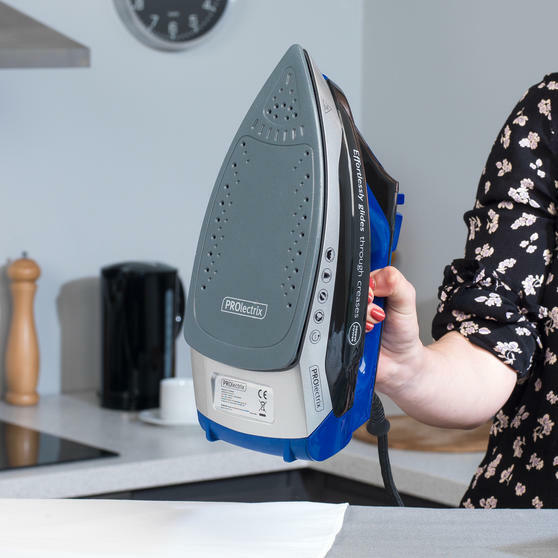 Complete with a soft grip handle and a 3m power cord for extra reach, the iron is easily manoeuvrable and comfortable to use.